KBB.com 16 Best Family Cars Three-Row Crossover/SUV. Boasts 26 Highway MPG and 18 City MPG! Carfax One-Owner Vehicle. Honda Certified Pre-Owned. Dealer Certified Pre-Owned. This Honda Pilot boasts a Regular Unleaded V-6 3.5 L/212 engine powering this Automatic transmission. Window Grid Antenna, Wheels: 18 Alloy, Wheels w/Machined Accents. 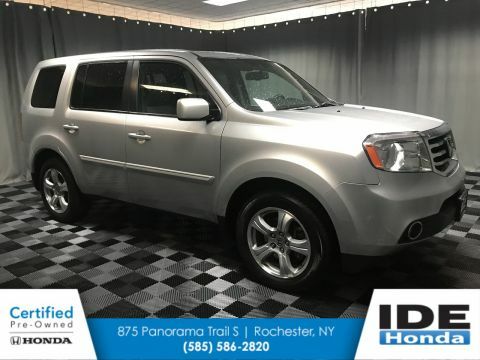 * This Honda Pilot Features the Following Options *VSA Electronic Stability Control (ESC), Valet Function, Urethane Gear Shift Knob, Trip computer, Transmission: 6-Speed Automatic, Transmission w/Driver Selectable Mode, Tires: P245/60R18 105H AS, Tire Specific Low Tire Pressure Warning, Tailgate/Rear Door Lock Included w/Power Door Locks, Systems Monitor. * Feel Confident About Your Choice *Carfax reports: Carfax One-Owner Vehicle, No Damage Reported, No Accidents Reported, 9 Service Records. 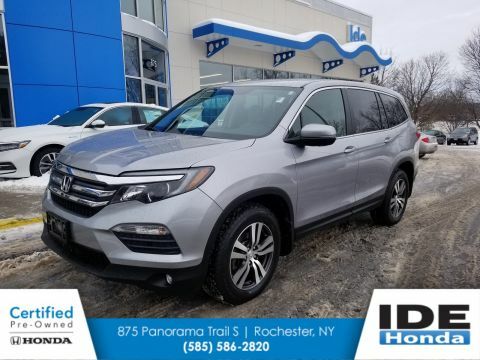 * This Honda Pilot is a Superstar! *KBB.com 16 Best Family Cars Three-Row Crossover/SUV, KBB.com Best Buy Awards Winner Mid-Size SUV/Crossover, KBB.com Brand Image Awards. * Need Another Reason to Buy? 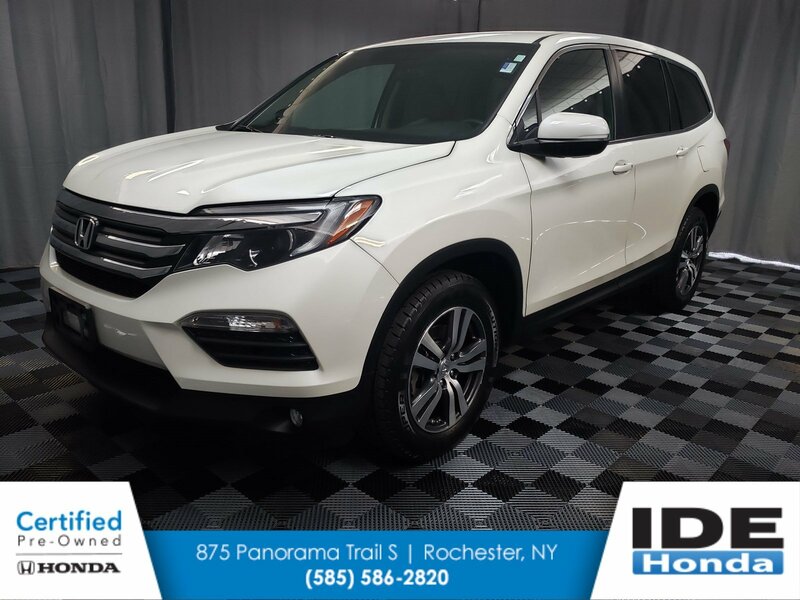 *As reported by the Manufacturer: Roadside Assistance with Honda Care purchase, Vehicle History, Limited Warranty: 12 Month/12,000 Mile (whichever comes first) after new car warranty expires or from certified purchase date, 182 Point Inspection, Warranty Deductible: $0. 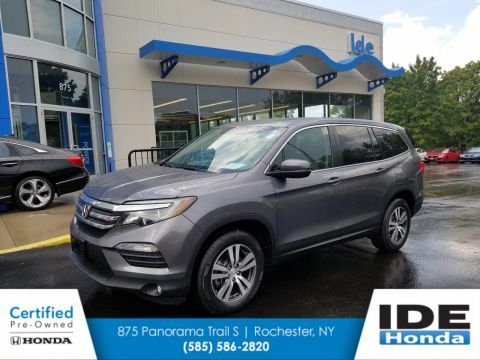 * Visit Us Today *Come in for a quick visit at Ide Honda, 875 Panorama Trail South, Rochester, NY 14625 to claim your Honda Pilot!